Yes, my inner Yoda can not wait until Sunday. My family will be celebrating May the 4th, otherwise known as Star Wars Day. 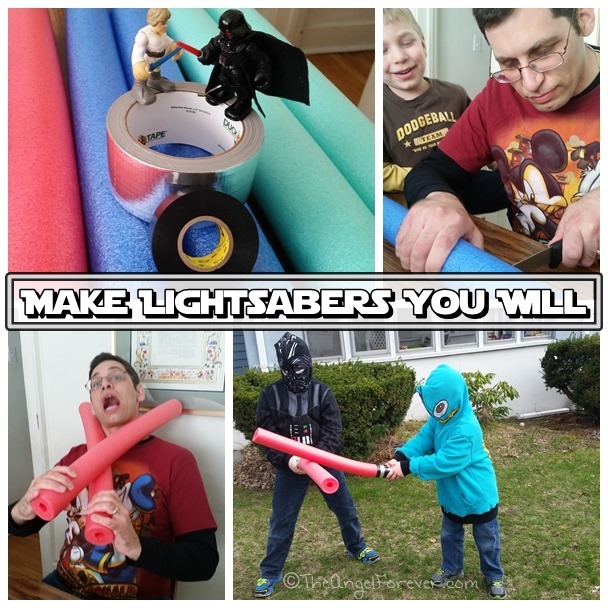 The boys are so into all things Star Wars, that it just seemed natural to use lightsabers as the focus of a new post on the Bedtime Math blog. Over on Bedtime Math I wrote about how to Train Your Jedi with Star Wars Math. We had an amazing time making the lightsabers and the kids have used them almost every day. Even TechyDad had a blast with them and shared how we made them on his blog. On Sunday, we plan to celebrate by giving the boys something special for this geeky holiday. These are just some of the latest and more always being posted, so please stop by and say hello to all of us. If you try one of our activities, be sure to take some photos and let us know. Oh and if you are interested in winning copies of the Bedtime Math books, you can enter their Spring Fling Instant Win Sweepstakes on Facebook. I also hope to see you next week on May 8 for the Bedtime Math Twitter Party. As one of their bloggers, I will be Tweeting along with you for a fun evening. Disclosure: I am a freelance blogger for Bedtime Math. While I am paid for those posts, I share here because I love that Bedtime Math encourages families to find math in the everyday activities that you already do.